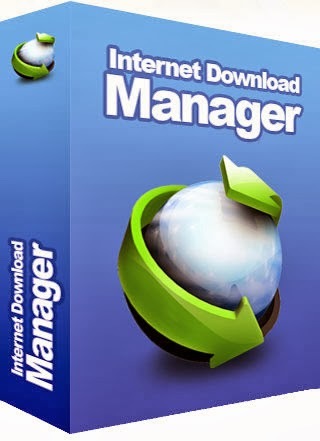 Internet download manager is the leading download manager in the internet.It has lot of features like download files with resume support and increase download speed 10 times to normal speed.But some of the files do not download with idm.Because it supports 50 file types only by default.For PC purpose downloads 50 file types are enough and most of the common file types are available in idm.At the same time there was a few file types available for mobile phones like .3gp, .mp3 etc...If you want to download an apk file for your android mobile then it download from the default download manager in the web browser.Then what to do?Just follow this procedure. 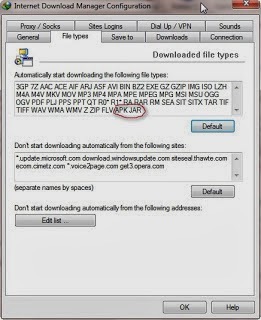 1.First of all find out the extension of file and note down it clearly (for example APK). 2.Now open IDM and go to options.Click on file types tab,a box that contains some of the file types under "Download file types" section. 3.Now click inside the field and type the file type in capital letters without using dot(that means type APK) and click on OK button. 4.Now once exit from idm by click on exit in the system tray and restart the idm from the start menu. 5.Now try to download the file which you include in the idm and it downloads through the idm.see here for example download of .apk file.